Xiaomi Mi A2 is a superb phone with a real value for money specifications. I am using this device since 4 months now and I have no complaints as of now. It has a pretty good battery life, the phone can be charged from 0 to 100 percent in just 1 hr and 5 minutes, the display is really good, the performance of this device is unimpaired though there is only one issue which is the overheating. At this price point and this specs, overheating can be ignored since this will somehow get fixed in the future updates. s the quality product the MI is providing as such price this kind of cons can be ignored. Looking for a great budget smartphone which not only has good processor but great cameras too? Then you have arrived at the end of your search. The Mi A2 packs a powerful camera sensor capable of delivering good color balanced shots. Even in terms of performance, the device can run heavy games like PubG. The battery life, like any other Xiaomi device, is impressive. The build quality again is on the average side. Xiaomi Mi A2 is famous for its camera performance at the budget price segment. The device has good overall specifications making it a value for money device. Availability would be a huge issue since the Poco F1 costs just 20k. Considering the specs, it is best to add a few bucks and go with Poco F1. Xiamoi makes great device which are not only price friendly but are also good in performance. A2 is no exception it is the successor of A1 which was also a beast.A2 has almost all the same features of A1 and on top of that it has a better camera, processor and a better ram managment and also the experience of stock android so overall this phone is great. The king of stock Android is back and it&apos;s as impressive as its predecessor! Camera performance is jaw dropping yet again and full view screen looks great. Easily one of the most value for money phones of 2018. 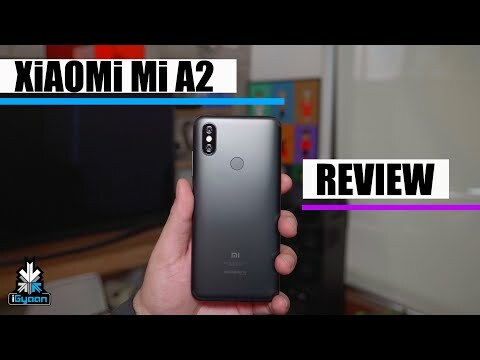 Mi A2 is a great phone this phone has literally best of everything as it has that amazing snapdragon processor, the camera clicks amazing pictures the display is bezel less and attracts a lot of attention and with all this you get stock android experience on this phone which just makes this phone perfect. 11 Pricebaba users have written their experience with Xiaomi Mi A2. If you own Xiaomi Mi A2, please do leave your feedback too. Lowest price of Xiaomi Mi A2 price in India starts at Rs. 11,075 Xiaomi Mi A2 is available on Flipkart at Rs. 11,749 and on Amazon at Rs. 11,499. Prices updated on 18th April 2019. The unibody design adds a premium feel to the phone. The most prominent upgrade compared to the Mi A1 is the 5.99-inch display with an excellent screen resolution of 2160x1080, a tall shape, and curvy sides. The Xiaomi Mi A2 is equipped with dual cameras of 12 MP and 20 MP respectively along with an amazing 20 MP front selfie camera. Xiaomi Mi has powered the phone with the Qualcomm Snapdragon 660 processor along with eight Kryo 260 CPU cores and an Adreno 512 GPU. Although the storage is 64GB, it is not expandable. A 4 GB RAM makes processing fast for you with no lags or stutters. The phone sports a 3000 mAh battery coupled with Qualcomm's 4th generation fast charging tech - the Quickcharge 4.0. Apart from this, it comes with Wi-Fi 802.11 ac and BT5.0 connectivity. The phone comes stocked with Android 8.1 Oreo along with a host of features including USB type-C port, fingerprint sensor, and IR Blaster.